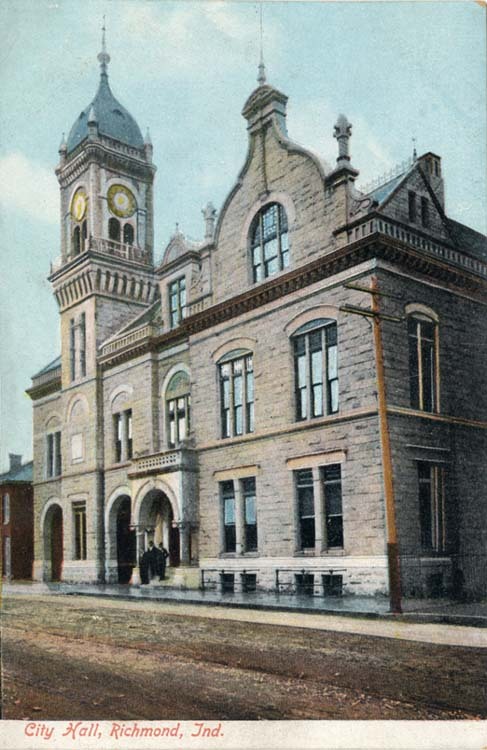 Built on the site of the old Warner Building and designed by John Hasecoster, City Hall was dedicated in January 1887. The cornerstone was laid on July 21, 1886 and at a small ceremony, the mayor, Gen. Thomas W. Bennett, placed into the stone a small metal box containing mementos of the day -- what we would call a time capsule today. 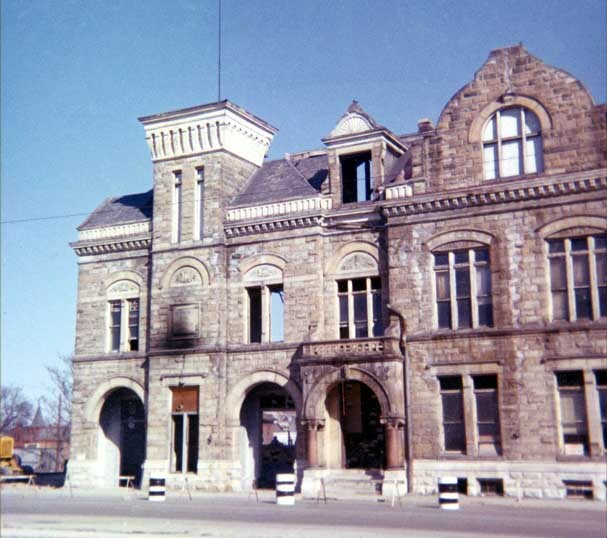 When the building was razed in February 1970 the contents of the box were taken to the Wayne County Historical Museum, where they remain. 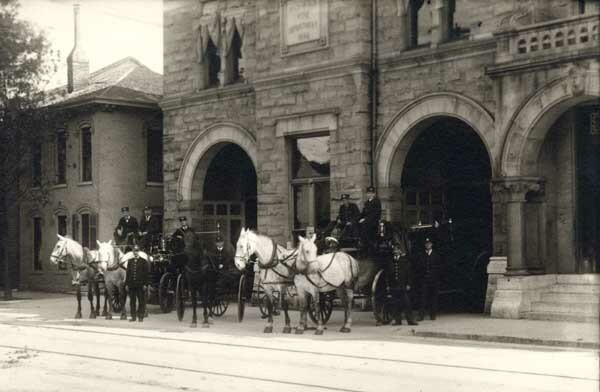 The northern part of the building served as Hose House #2 of the Richmond Fire Department.